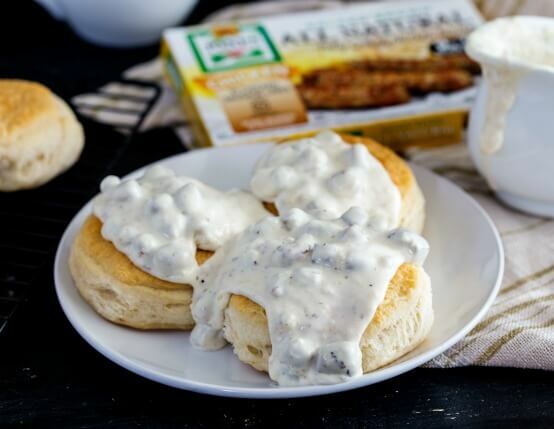 Who doesn’t love biscuits and gravy? This modern twist on a breakfast favorite uses chicken sausage in place of pork. 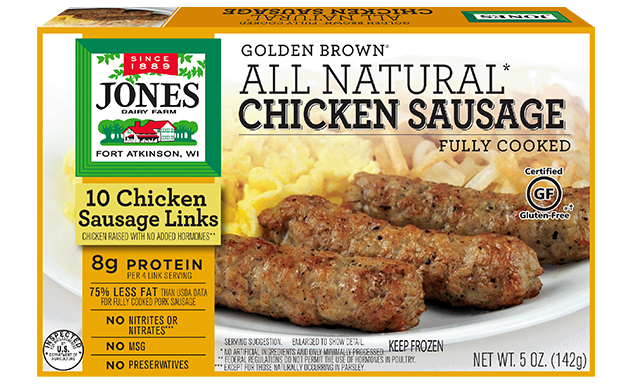 This recipe is made with Jones Golden Brown® Chicken Links. Bake biscuits according to package directions. Heat sausage in skillet over medium heat with butter. Once heated, sift flour over top and stir well. Pour in heavy whipping cream and milk; whisk together. Add salt and pepper to taste. Stirring continuously, heat until thickened, about 3-5 minutes. Remove from heat, let sit 2-3 minutes; season more as desired. Spoon over hot biscuits and enjoy!